Innovative design for AFO Braces and children’s adaptive footwear needs. Unisex youth to young adult sizes. 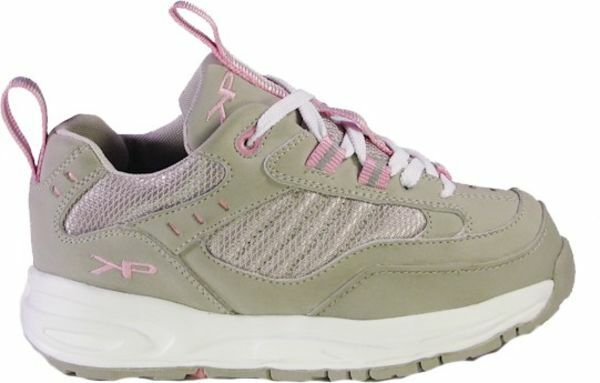 The Keeping Pace Girl's Athletic shoe is available with either a lace or velcro strap. 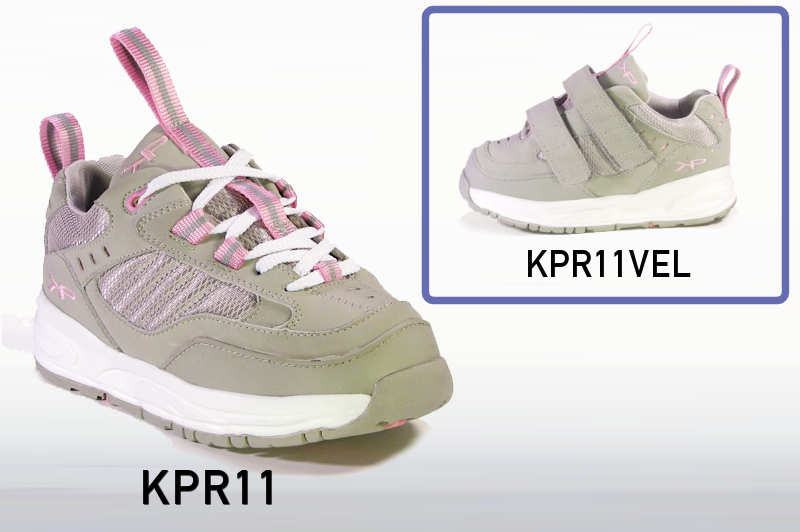 KeepingPace Shoes were designed by the parent of a special needs child. They are the first fashionable and durable shoe that fits easily and quickly over a brace/afo without being oversized for children who require braces to support their legs and feet. Style - Contemporary fashion and stylish look. Speed lacing with locking eyelets promotes one handed pull lacing; locks laces in place for easier tying (on lace styles). Keeping Pace Adult Sizing Chart - PDF file for sizing Keeping Pace Shoes for adults. Keeping Pace Children's Sizing Chart - PDF file for sizing Keeping Pace shoes with AFOs for Children. View all Keeping Pace Shoes items. Did not wear well. I purchased these in September for my 12 year old daughter to wear with her AFO's. Her legs scissor quite a bit when walking and these did not stand up to the wear(even though most of the time she is in a chair). The piece that goes across the toe and down the side is rubber, not leather and it showed signs of wear the first week. If she didn't really need them for school, I would have sent them back. Now it's January and that piece has totally come away from the stitching on the instep and is just flopping around. Unfortunately, she's outgrown the brand we used previously which was all leather and wore very well. Want to try the sandals, but wouldn't buy the tennis shoes again. Perfert Shoe These shoes were absolutely perfert for my daughter. They fit her feet perfectly. Pace Girls athletic I bought these for my granddaughter who has to wear braces because of palsy. The customer service lady that I talked to let me know what size I should by her and she was spot on. They fit perfectly. My granddaughter loves them! Exceptional shoes I purchased these shoes for my daughter who wears a DAFO on one side due to hemiplegia. This is her second pair of Keeping Pace. I cannot say enough about these shoes! She is super hard on shoes and we would go through regular tennis shoes monthly. We would have to rip out the insoles, cut into the tongues and generally mutilate the shoe for it to even remotely fit. Keeping Pace shoes are wide enough for an easy slide into with the AFO on. The reinforced toe is such a wonderful bonus. The size is very true. These shoes are much more comfortable than other orthopedic shoes she has worn. I would love to see them in a couple more colors/styles than what is currently available but other than that we will be repeat customers for sure!